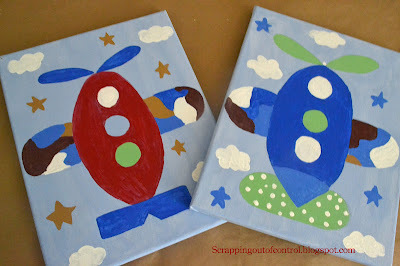 I do not paint much but had a hard time painting over these cute little airplanes. I just did not want to see them at a thrift store for 25 cents.I used Gesso to prime them and then used acrylic paint. 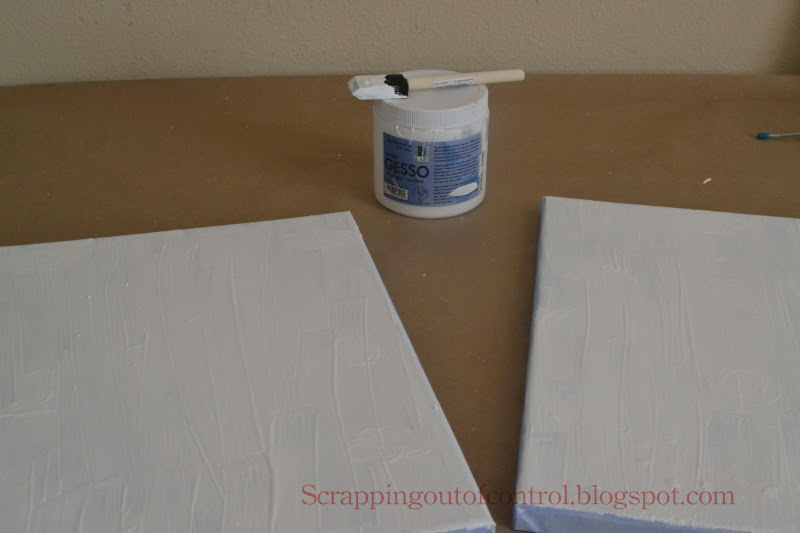 Tip: Use a few layers of gesso! I can still see some of the clowns in the end result. I hand drew the train. Its still not dry but I wanted to share it anyways. The end result was very "cartoon" looking but thats what I wanted. 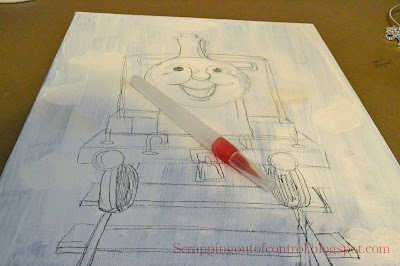 His bed sheets are Thomas the train and I was not going for a mixed media painting. Im not Picasso ya know! Anyways, I still need to make the Thomas canvas (This is James, his favorite). I will show you the end result of both paintings. One more tip, make sure you let everything dry before you out line the drawing. I did not wait and my lines were not as straight as I wanted them. Nancy ~ Oh my goodness! I am BEYOND impressed! 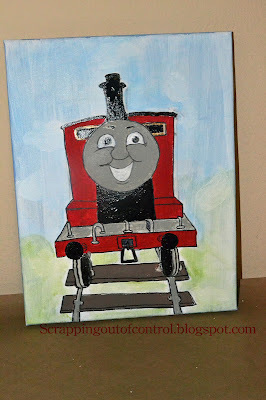 You not only drew the image but painted it too! WOW! You think you lost your mojo??? After seeing this I think you still have it!!! Way to go on this AMAZING project! I bet your son LOVED it!!! do collect the best products from you own town. you just simply like it.